Posted May 4, 2017 by jbarton_secure & filed under Security Guards. 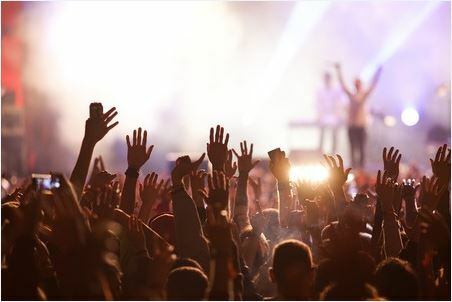 When you’re having an outdoor event you should hire a security guard or a security team, depending on the size of the event and number of attendees. The more people involved, the more security you’ll need. First and foremost, having security on the premises puts people at ease. It’s refreshing to know there’s someone there who is watching over the event and ready to step in, if necessary, to deal with any problem people or potentially violent behavior. Security guards, just by their presence, deter crime, too. Next, security is able to check guests coming and going from an event, and, if needed, they can verify the people who are supposed to be there are “let in,” while keeping others, such as “party crashers,” out. 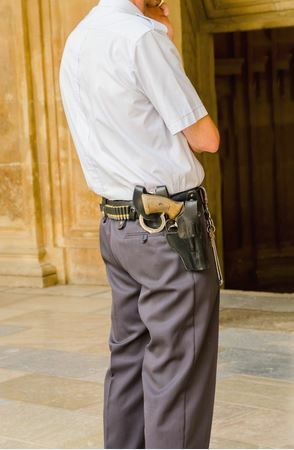 In an era when people are scared that others might be carrying a knife or gun on them, even to an outdoor event, it never hurts to have security guards checking for such things. Guests want to have a nice time; they don’t want to deal with a drunk or angry guest. That’s the security guard’s job! Furthermore, certain outdoor events attract protesters. Therefore, it’s important for event organizers to plan ahead, and have security guards stationed in key places to deal with any situations that get out of hand. If and when there’s a serious problem, security guards can call police for back-up. If you’ve got some ground to cover for your outdoor event, and you want to beef up security, don’t hesitate to call C.O.P. Security Inc. at 585-750-5608. Posted March 23, 2017 by barton_secure & filed under Security Services. The other day there was a St. Patrick’s Day parade in Buffalo, New York. Marching in the parade were several men and women in uniform. They looked so smart, clean, crisp and, above all, professional. There’s something about uniforms that make people look important. It shows they’re in control more than the rest of us. Indeed, wearing a uniform is important, even in this day of sloppy dressing. Well, perhaps it’s even more important at a time when the average person thinks nothing of wearing jeans and tee shirts to work, right? Uniforms set people apart, but in a good way. They’re the way to know who is who. For instance, it’s a smart idea for security guards to wear uniforms because it makes them easily identifiable. If they have a security badge that says “Security,” along with a name plate and/or company patch, that signifies to all the people they encounter who they work for, what they do, and that they’re approachable should a person need assistance. Think about it this way: when you’re in a crowd, isn’t it true you can instantly recognize security guards because they’re wearing their uniforms? If they didn’t have them on, good luck finding them when you need them– they’d blend in with everyone else around. There’s something about uniformed security guards on the premises that gives people peace-of-mind. Whether they’re employees, customers or visitors, it’s reassuring to know a uniformed guard is “there for them” in case they need them. Meanwhile, uniformed guards help deter crime. After all, criminals are looking for places where no one’s watching them. Having a uniformed guard on patrol sends a clear signal to any potential criminals or people who want to cause a ruckus that they’re not alone and free to do whatever they please. Finally, it makes sense for security guards and other people in certain roles and positions to wear proper uniforms because it gives them a sense of pride in their work. Furthermore, it helps them feel like they belong to something greater than themselves. Many uniforms are worn to show that people are serious about what they do and quite professional about their job(s). Posted March 8, 2017 by jbarton_secure & filed under Security Guards, Security Services. Security guards handle many tasks during their shifts. One of their typical functions involves keeping crowds under control. Event planners and site managers often rely on security guards to help maintain a sense of order and decency at events where crowds gather. To help establish order at an event, security guards are usually stationed at a check-in point. This is a place where they can watch and interact with all the people coming and going from a party, event, or place. They may check people’s ID cards to make sure they are who they say they are and should be there. Further, they can check attendees for any potentially dangerous items on their person. 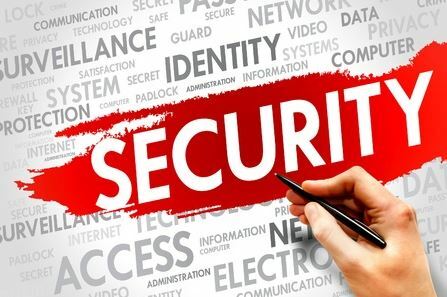 By having security guards at an entrance/exit, attendees understand that their safety is being regarded since there is an authoritative presence at the event. 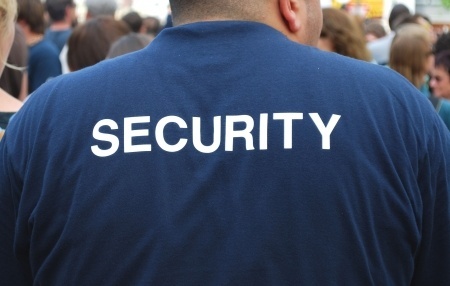 Security guards should be highly visible at events, making their presence known for the good of the crowd. Meanwhile, security guards are trained to deal with troublemakers. If someone is causing a scene, acting badly, a security guard may talk to them to calm them down. Guards want to de-escalate conflicts. If necessary, they may try to physically remove the person/persons from the grounds to help keep the peace. If and when a fight breaks out that’s more than a guard can handle, they can call police to intervene. Finally, security guards help handle the flow of traffic at events. They can encourage people to spread out if and when they’re too close together for comfort and safety. They can direct people to “move along,” pointing them in the direction of various things, such as bathrooms. Ropes and other barriers can be utilized to organize crowds in such a way that there’s order rather than chaos. Should you have an event coming up where crowd control is an issue, don’t hesitate to call C.O.P. Security at 585-750-5608 or email rbarton@copsecuritycorp.com. 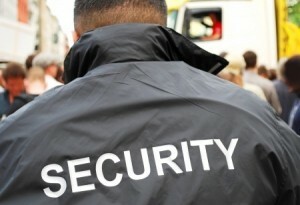 Hiring dependable, professional security guards can help make event crowds quite manageable. Posted February 15, 2017 by barton_secure & filed under Security Guards. Have you ever avoided a certain restaurant because it just didn’t look safe from the outside? That happens often. People are very picky with where they’ll go and where they won’t go, and a lot of it stems from the need to feel safe and secure. Restaurants are smart to employ security guards because they help put customers at ease. Even though restaurants aren’t the kind of place one thinks of when imagining criminal activities, crimes can and do occur there. That’s why having security guards on the premises can be helpful, since they deter criminals who’d rather go elsewhere. Think about it this way: if you were going to rob a restaurant, and order the cashier to “gimme all your money,” would you scope out the vulnerable place(s) where no guards are on duty to deter you? Yes, you would. Security guards at restaurants make sense because they’re there to “step in” should there be any arguments or fights among patrons or staffers. Guards are trained to diffuse these awkward and potentially dangerous situations. It’s much better for a guard to “step in” than to have no one willing to do that, because then chaos can ensue. The last thing a restaurant wants is to be known for having a riot or a shooting take place on premises. Reputation is everything in the restaurant business. Think of how people talk… and post online with their reviews. Whether it’s word-of-mouth or comments on a website like Yelp.com, one thing’s for sure: a restaurant’s reputation is everything. If you were a restaurant owner who wanted to stay in business and be profitable, you’d obviously want to build and maintain a great reputation in the community. 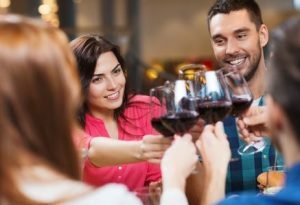 Besides offering tasty food and superior service, safety plays an important role in a restaurant’s overall reputation. The physical presence of security guards at a public place– restaurants included– tells patrons that someone is watching over them and is there if any problems arise. This “peace of mind” is important to people, psychologically. Obviously, people want to feel comfortable, worry-free and relaxed while dining in an eating establishment. They also want to be able to walk outside to their car and not feel threatened by unsavory characters or homeless guys asking for money. Therefore, security guards go a long way in putting customers’ minds at ease at restaurants. Posted February 10, 2017 by jbarton_secure & filed under Security Guards, Security Services. Schools are public places where many people gather each day. From administrators to teachers and students to parents, a school is one of a community’s major gathering spots, and therefore, sadly, a target for those who want to upset the community with violent behavior. Schools house the most vulnerable of our population: kids. If a madman wants to tragically take out their frustration and anger with whomever, shooting up an elementary school, for example, is a way for them to unleash their evil while also gaining notoriety and fame. Sadly, we’ve almost become numb when hearing about such unspeakable tragedies. So, should schools hire security guards? In the society we live in today? Yes. The more watchful adults patrolling school grounds there are, the safer a school can be. Security guards are always on the lookout for suspicious activity. They’re on the premises with a watchful eye, ready to confront anyone who seems out of place and up to no good. They watch for illegal drug activity, kidnapping situations, as well as guns or knives. Schools should not be defenseless against perpetrators of crime and violence. Having security guards on school property sends a signal to the community that the school is serious about keeping both people and property safe. Security guards bring people much needed “peace of mind” in a world where we’re constantly barraged with bad news. 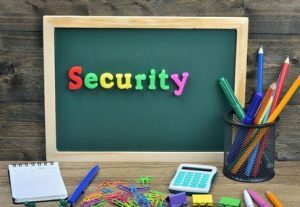 Besides guarding against outside threats, security guards are also vital to schools today because they’re “there” to witness, and perhaps stop, any harassment or fights between students and/or between students and staffers. It’s important to have security guards on duty during school hours because they’re trained to diffuse problem situations. Need security guards to watch over your school? Call C.O.P. Security at 585-750-5608. Posted February 1, 2017 by jbarton_secure & filed under Security Guards. You’ve probably heard stories where someone put on a lab coat and snuck into a hospital, pretending they were a doctor, going where they didn’t belong… in our world of violence and deception, it’s important for hospitals to have security guards. After all, some of the most vulnerable people are lying in beds in hospitals and should have the comfort of knowing there are people on patrol of the hospital hallways making sure things are safe. Friends and family members visiting those in hospitals also like to know there’s security “just in case” they need them for any reason– even simple things like asking directions within the hallways of maze-like hospitals. Patients’ lives are more important than things. Sure, money, purses, and artwork matter, but not as much as people’s lives. Many people staying in hospitals feel like they’re at the mercy of whomever is around them, from orderlies to nurses and then some. Having security guards gives hospital patients and their visitors a peace of mind that’s critically important during their trying time. Besides security cameras monitoring hospitals, it’s good to have real, live, breathing, thinking security guards on duty at all times to assist as needed. A hospital security guard watches over entrances and exits. He or she may deal with any alarms that go off. If someone gets disruptive and emotional, a security guard is there to calm him or her down and restore peace. From finding missing patients to breaking up little fights, a hospital security guard’s shift is never boring– and full of variety. They’re an integral part of the hospital staff, keeping calm under pressure, ready for challenges, and team players who help make sure the hospital functions at its best. Does your hospital or medical complex need security guards to help create a stronger feeling of safety? Call C.O.P. Security at 585-750-5608 or email rbarton@copsecuritycorp.com for information today. Posted January 24, 2017 by barton_secure & filed under Security Guards, Security Services. Security guards have a big responsibility. You don’t want to hire bad guards. What are some signs you might have hired bad guards? First, do your guards seem distracted? Are they more interested in trolling Facebook on their smartphone than paying attention to what’s going on right in front of them? Do they seem like they’re always on their phone? Who are they talking to? Are they using the Internet and not doing their job? If so, they’re too distracted and shouldn’t be a guard. Furthermore, if they seem “spaced out” or “not all there,” they’re a bad guard. Basically, good guards are ever-present and focused on their job. Next, sometimes guards seem like they’re great, but you put them on a certain shift and it just doesn’t work out. For instance, maybe they’re a night person and you’ve got them working afternoons when they’d rather be napping. Or they’re a morning person and you’ve scheduled them late at night… Bad guards sleep on the job and that’s not good. Ideally, a guard’s inner clock has to adapt well to their shift work or else they need to look elsewhere for employment. Also, you might have a bad security guard on your hands if you find out they’re very biased toward certain people. You need a security guard that is objective and focuses on what they see. Brand new security guards don’t have the experience old timers do, so they can turn out to be bad guards simply for not having enough time on the job to know the ins-and-outs of it. It’s not a good idea to leave a brand new security guard on their own when they’re first starting out– it’s best to pair them with a mentor who can help guide them along so they grow into their position. In a related thought, if a security guard is unfamiliar with a place, he or she may end up being bad at their job because they don’t know enough about the area. They might also not have the right temperament for the location where they’re assigned. For example, if a guard is going to be around kids but they come off as angry and mean, they’re probably not stationed in the right place at the right time. It’s better to get someone who likes working with kids to man that spot. Meanwhile, there are certain areas where toughness and “the intimidation factor” makes sense. Guards should work where their personality fits. If you’re looking for great security guards, contact C.O.P. Security to meet your needs. 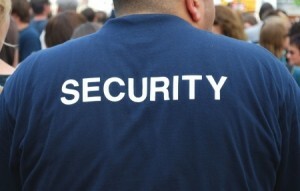 Do You Need Armed or Unarmed Security Guards? Posted January 4, 2017 by barton_secure & filed under Armed Guards, Security Services, Unarmed Guards. If and when you want to protect a place and/or the people at that place, do you need armed or unarmed security guards? It depends on the specific situation. Unarmed guards work well for large events, apartment/office complexes, and plants/facilities where they’ll make workers, customers and visitors feel secure just by their presence. Unarmed guards are specifically trained to keep order. Furthermore, they’re a visible deterrent to those who might want to commit a crime, start trouble, or cause problems for others. Unarmed guards make sense working at entrances and checkpoints in order to maintain an organized, watched setting. Unarmed guards are regularly utilized at businesses and events. Armed guards work well for “high-risk” locations where there’s lots of foot traffic and/or valuable assets involved. Banks are most likely to utilize armed guards, since huge sums of cash needs to be guarded against theft. Other places where armed guards make sense include schools, residential neighborhoods known for criminal activity, and warehouses with expensive inventory inside. In addition, armed guards are often used to transport public figures, such as well-known politicians. Why hire armed guards? They deter crime. People thinking of committing a crime will think twice when they see an armed guard on patrol. C.O.P. Security provides unarmed or armed guards to many places in Western New York. Officers are reliable, highly-trained, and effective at their jobs. Indeed, many of C.O.P.’s armed guards come from a background of having used firearms in their previous jobs as police officers. Whether they’re armed or unarmed, security guards provide peace-of-mind to people, helping make an area feel more calm as needed. In a world where violence and theft and trouble make the headlines, security guards are needed now more than ever to help put people at ease– especially in public settings. Want to discuss your security needs? Call C.O.P. Security at 585-750-5608 or email rbarton@copsecuritycorp.com. Posted December 27, 2016 by barton_secure & filed under Security Services. People who are up to no good prefer places where they’re not watched by others, where there aren’t a lot of lights lighting up sidewalks, driveways, parking lots and buildings, and where they feel they can get away with a crime without being noticed. If you have a large area that you’d like to have patrolled, consider hiring C.O.P. Security with branded vehicle patrol cars. These vehicles clearly communicate to any and all people who see them that they’re being watched by a security guard. They help control access to certain areas of parking lots and such, as well as deter crime. 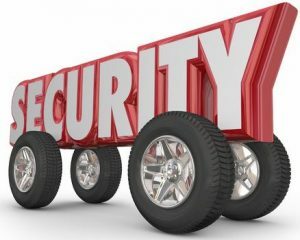 Think about it this way: if you have a branded vehicle that clearly states it’s for “security,” and it’s driving around an area, people are going to notice it. They can’t help but notice it because it’s so obvious. This actually helps make people feel safer. Why? It tells them someone in authority is watching over them, and can help them if they need it. Even if it’s for something simple like lost people asking the security guard for directions, the patrol car helps provide peace-of-mind to people in a certain area. It’s better to have a person or two patrolling a place by foot and by car than to have no one around. Furthermore, a branded vehicle patrol tells potential thieves and criminals that this particular place is well-guarded. Hence, they’re likely to go elsewhere for their shenanigans, where they won’t be noticed or bothered by security guards. If you want to keep people out of a certain area, especially at night, the headlights of a security patrol car certainly helps do that! C.O.P. vehicle patrols can be done at any hour of the day or night. They’re a proactive way to give security guards an impactful, visible presence in a large area. Please call 585-750-5608 to ask about branded vehicle patrols for your property or properties. Posted December 7, 2016 by barton_secure & filed under Security Guards, Security Services. 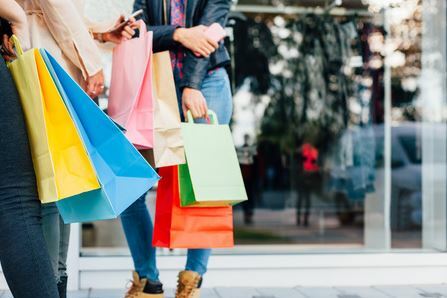 Shopping centers should beef up their security during the holiday season because it’s prime time for lots of shoppers with money in their pockets to make their way there. Consequently, with increased foot traffic comes increased opportunity for something to go awry. Plus, opportunistic shoplifters love the extra traffic because it takes attention off them. As such, the more security guards on duty during the holiday shopping season at malls, big box stores and shopping centers, the better, as it’s important to have as many trained eyes watching over shoppers as possible. Now, more than ever, shoppers want and need to feel safe. If you’ve paid attention to the news lately, there have been too many problems at shopping centers, including six people shot during Black Friday sales, including a Walmart customer who died in a fight over a parking space. These Black Friday shopping center shootings occurred at malls in Tennessee, a Macy’s in New Jersey, and the aforementioned Walmart, located in Nevada. Here’s the thing: violence knows no bounds, so what was once thought to be a big city problem in highly populated areas can and does happen literally anywhere, at any time, for any reason. The best way to help shopping crowds feel safe is to provide uniformed, professional security guards who are walking or standing near them. This means having more guards than normal, in more places than normal. Should malls, for instance, have security guards at or near their entrances/exits this holiday shopping season? Yes. They should also be walking around the mall, too. The more visible, the better. Thieves and bad people will go where they’re not being watched to do things they shouldn’t be doing– therefore, don’t even give them the opportunity! Hire guards from C.O.P. Security to watch over your shopping center (and shoppers) this holiday season; call 585-750-5608 today. How Many Security Guards Do I Need for My Event?